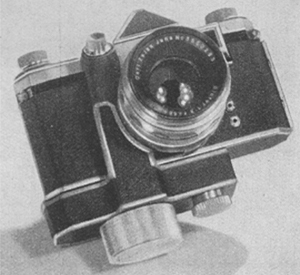 At the Trade Fair in Leipzig, in September 1952, the VEB Kamera-Werkstätten Niedersedlitz showed the PRAKTINA, the prototype of a 35mm single-lens reflex camera with the interchangeability of lens, finder and focusing screen, camera back and with a bottom-camera coupling to fit up a spring winder or an electric motor. 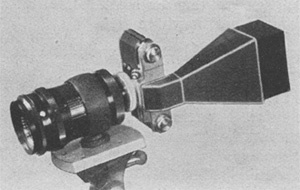 The new camera was fitted out with an horizontal-travel focal-plane shutter with cloth curtains and shutter speed from 1 to 1/1000 sec, self-timer, eye-level prism finder, eye-level optical finder, focusing screen with split-image rangefinder, synchronization for bulbs and electronic flash and an advanced and reliable breech-lock lens mount. 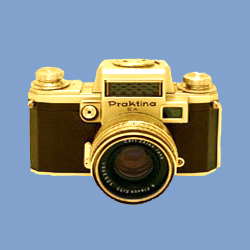 The development of the Praktina's prototypes till the mid of 1953 was characterized by a series of changes and improvements. 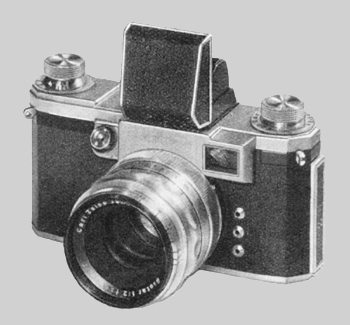 Three changes were the name of the camera, the numbers of flash connections and the addition of a mechanism to close down the diaphragm of semi-automatic lenses to the preselected aperture. 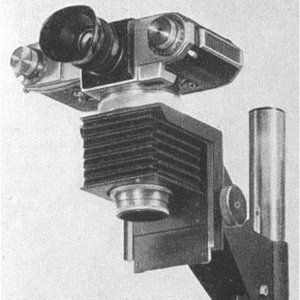 The camera name changed from a "No name" to "Praktina" and then to "Praktina FX"; the numbers of flash connections changed from three unipolar sockets to two bipolar sockets and in 1953 was added the mechanism to control the lens diaphragm. 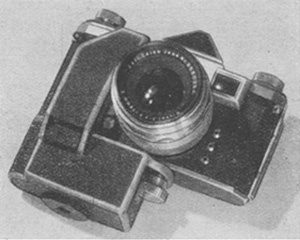 There are five types of prototypes that explain the development of this camera. Many accessories were shown for the new camera: eye-level finder, waist-level finder, 6x micro focusing finder, portrait finder with 3x magnification, rapid-sequence spring motor for up to 10 shoots, electric motor with magnetic remote control, 2:1 extension bellows and microscope adapter. 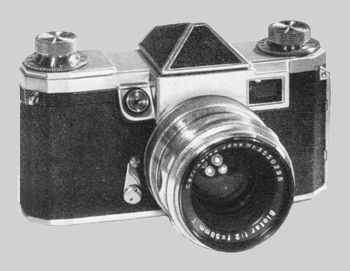 So not only a new camera, but also a new 35mm SLR system was born.